The strength of a woman is not measured by the impact that all hardships in life have had on her, but the strength of a woman is measured by the extent of her refusal to allow those hardships to dictate her and who she becomes..
Making Affirmations Work for You!! Affirmations are one of the most powerful manifestation tools we have at our disposal, but there are specific ways to use them that can greatly improve the results we get from them. One commonly known way to boost the power of affirmations is to infuse them with strong positive emotions while reciting them. This helps “energize” the intention so that manifesting it becomes much more likely. But some people struggle with this because they haven’t had much practice in consciously controlling their emotional state. They try to feel strong positive emotion but the feelings fall flat. There is another little-known method of intensifying affirmations that often works better for beginners, and that is writing the affirmations down. This may not sound powerful but once you do it a few times you quickly realize how “real” it makes your affirmations seem. 1) In most cases we tend to write down things that are “true”. Unless you are a fiction writer, you know that most everything you write tends to be factual. You make lists of things you need to do, you create reports and proposals for your job, write letters and cards to loved ones, and even emails to friends. You record your bank transactions in your chequebook register and fill out forms for many different purposes. All of this information you are writing down day to day is sending a message to your mind that it is all true and real. But here is the neat thing. When you begin writing affirmations, your mind is more receptive to accepting them simply because you are used to being truthful when you write things down! 2) Writing affirmations is a slower process than speaking them. Anyone who has recited affirmations knows that not much happens from saying them one or two times. You need to keep repeating them over and over again in order for them to sink in. We absorb information more completely when we are exposed to it repeatedly. Written affirmations work the same way, sinking into our subconscious minds more easily because it takes more time to write them down than it does to speak them aloud. We are spending more time focusing on them and therefore absorb them more completely. 3) We tend to visualize and connect emotionally when we write. Spoken affirmations are often just “meaningless words” until we charge them with emotion, which is hard to do in the space of 1.3 seconds it takes to say the words. But when we write the affirmations down we have more time to engage our emotions – and even more importantly, we generate a mental image of what we are writing about. If I asked you to write an essay about your best friend from your childhood right now, you would see an image of that person in your mind, right? It works the same way with affirmations. When writing affirmations about something you would like to experience, you can’t help but “see” the situation as if it were happening. When it comes to manifestation, that mental imaging is important! There are several different ways to write affirmations for best effect, but in general you want to try to write them in the present tense. Unless the present tense is something your mind would reject. For example, if you are trying to manifest a slim, slender body but you have been seriously overweight for much of your life, writing an affirmation like, “I am fit and slender” just won’t work. Your mind knows that is not true so it will resist absorbing the message. What you could do, however, is write the affirmation in a way that your mind would be willing to accept. Try these: “I am becoming stronger and fit every day.” “I crave healthy foods and moderate exercise.” “I love treating my body kindly and respectfully.” Write it in a way that is moderately believable for you. – Create a mental picture. 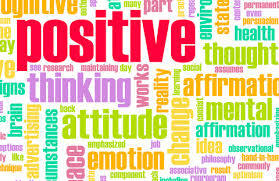 As you write your affirmations, be sure to mentally picture the outcome you desire. You don’t have to put a lot of detail into this vision, just see a “snapshot” of the final outcome, or alternatively you may find it easier to create a moving picture like a mental movie. See yourself walking around the mall while feeling good about your body. Or see yourself taking a brisk walk in the early morning, feeling fit and happy to be alive. Just as with spoken affirmations, repetition is important. Try to write 10-20 affirmations each day or more if you can. It may seem like writing a bunch of affirmations would take a lot of time but I find I can get mine done in 10 minutes or less. And I try to do it twice a day or more if I can. You can do this as many times as you like, even adding things like, “I am so grateful to be receiving great abundance now!” and “I love having plenty of money!” Get excited and infuse your affirmations with strong emotion and you’ll find that they become even more powerful.